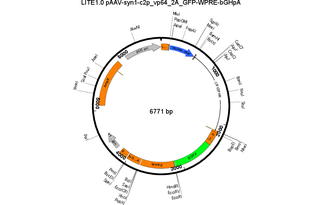 LITE1.0 CRY2PHR fused to VP64 transcriptional activator domain. Binds to CIB1 upon blue light stimulation. 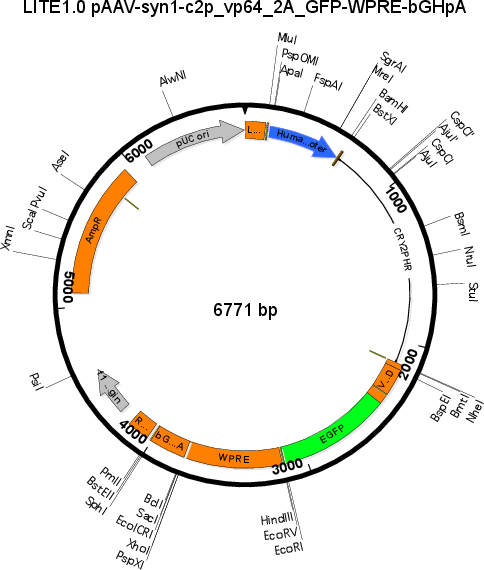 Synapsin promoter for neuronal expression. See LITE2.0 for optimized LITE activators.